The devastation across our country from natural disasters has been unimaginable. Right now, we at Inkblot are particularly concerned for our 3.4 million US brothers and sisters in Puerto Rico, where the destruction is nearly absolute. They are without food, potable water, power, or the ability to communicate with the rest of the world. Fortunately there are organizations on the ground in Puerto Rico ready to help. One of those is GlobalGiving, which connects donors with local nonprofits to provide relief. They have a nearly perfect score on Charity Navigator and a vetted fund for Puerto Rico and Caribbean Hurricane Relief, meaning all donations to this fund exclusively support relief and recovery efforts. When we started Inkblot, one goal was to give back to our amazing community. Each quarter, we usually donate to a local organization, but this quarter, we haven’t been able to get the devastation in Puerto Rico out of our heads. Thus, we are donating to GlobalGiving. They do such important work, and we’re honored to be able to help their cause. If you find yourself in the position to give, consider GlobalGiving or the many other worthy organizations helping with disaster relief across the United States. Punctuation is important, clearly. As the Chicago Manual of Style puts it, the purpose of punctuation is “to promote ease of reading by clarifying relationships within and between sentences.” The tiny marks between words or letters sets up an author’s cadence, voice, and style. You can say a lot by sparsely or heavily punctuating your writing. Some writers, like Cormac McCarthy—following the lead of James Joyce—are as minimal as possible with punctuation. As McCarthy says, “There’s no reason to blot the page up with weird little marks. I mean, if you write properly you shouldn’t have to punctuate.” McCarthy and Joyce don’t even use quotation marks. In The Road, McCarthy’s lack of punctuation lends itself to a feeling of wasteland, echoing the content itself. Other writers, like E. E. Cummings, use punctuation as an extension of the alphabet, playing with the shapes and spaces caused by the punctuation. Marcel Proust also used punctuation with abandon. Using strings of comma-separated phrases, Proust built an 847-word run-on sentence. What happens if you take out everything but the punctuation? Chicago-based designer Nicholas Rougeux’s project titled “Between the Words” features classic books stripped down to their punctuation. The spiral design of these posters is mesmerizing. What is your punctuation style? Strip all punctuation out and, as you re-read it, only put back in what is absolutely necessary. Put all punctuation back in, and see if you can add more to break up or connect sentences, changing the flow. Which feels more natural—more or less? What punctuation are you most drawn to—dashes, semicolons, commas? Next time you write, think about style and purpose as you choose how to punctuate. Once you start sending out your work to prospective journals and magazines, it is very important to keep your submissions organized. It would not look good to send the same essay to the same journal a month apart. But fear not! Inkblot Editing has your back! We’ve created a submissions tracker just for you. Download it here! Happy Friday! We can’t wait to start getting your book selfies. They’re going to be awesome. Today, I thought we’d take a look at just how detailed the Chicago Manual of Style (CMS) is. (CMS is our editorial bible, if you will.) This style guide is much more involved than most style guides, which helps us make quick decisions and keep our texts consistent. In fact, even when I’m working on a project that uses APA or MLA, I fall back to CMS for topics those style guides don’t cover. How many of the following CMS rules did you already know? When an ampersand is used instead of the word and (as in company names), the serial comma is omitted. Winken, Blinken & Nod is a purveyor of nightwear. If space or context in the text or in a note requires that two or more lines be run in, the lines are separated by a slash, with one space on either side (in printed works, a thin space to an en space). Andrew Marvell’s praise of John Milton, “Thou has not missed one thought that could be fit, / And all that was improper does omit” (“On Paradise Lost”), might well serve as our motto. For running in more than one stanza (to be avoided if at all possible), see 13.32. We all have our author crushes. (That is a thing, right?) My latest is Mo Willems, not least because he is instilling in my daughter a love of reading. You see, I was terrified that I would be the only editor and writer with an illiterate child. Yes, yes, she’s only in kindergarten, but the fear was real. 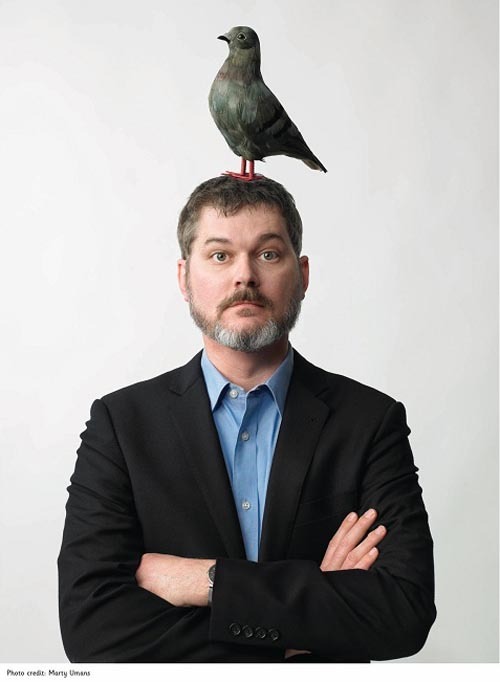 And then Mo Willems rode Pigeon into our lives. Did you know that the ampersand was once considered the 27th letter of the alphabet? (You’re googling this right now, aren’t you?) I’m telling the truth — insofar as history has told me, anyway. This character itself was used way before it came to have the name ampersand. In Latin, the word et means “and,” and as the Roman scribes wrote this word, they connected the e and t, thus creating a symbol that eventually came to represent “and” in English. The evolution of the ampersand. Sources: What Character Was Removed from the Alphabet? and Ampersand. Lesley grew up in a log cabin in the woods that her father built. She is going home this weekend to spend time with the family–mom, dad, two younger sisters, daughter, and a bazillion animals. Rachel is off celebrating her one-year anniversary this weekend! What a year it’s been—travels to Mexico, house buying, Inkblot; it’s definitely one for the record books.